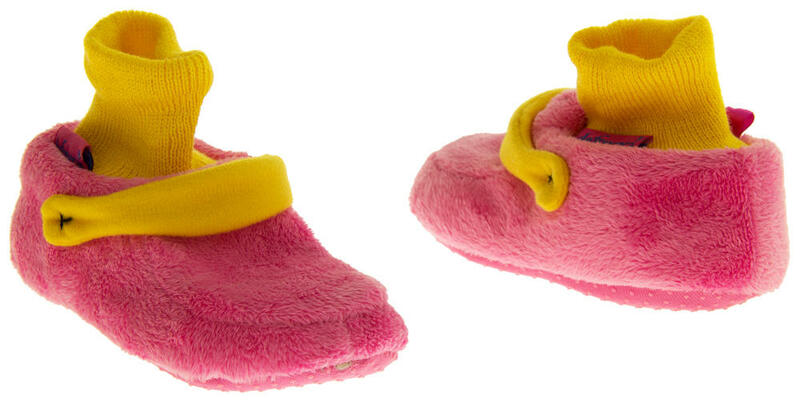 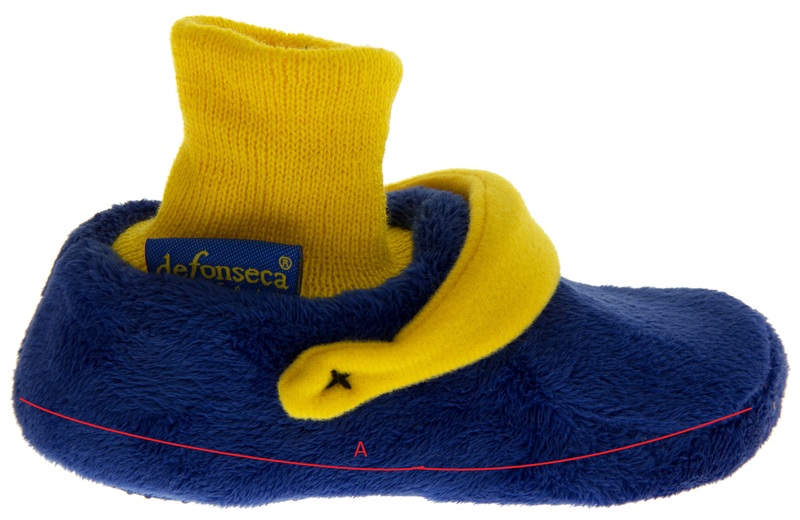 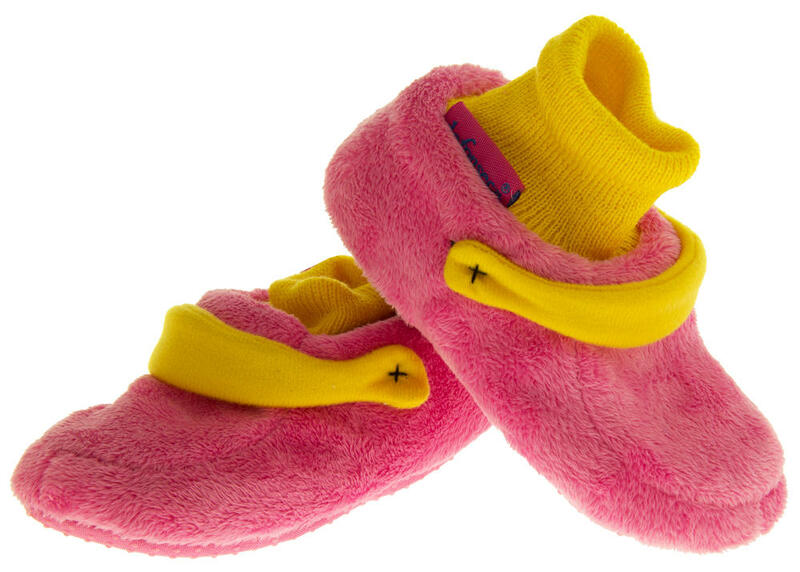 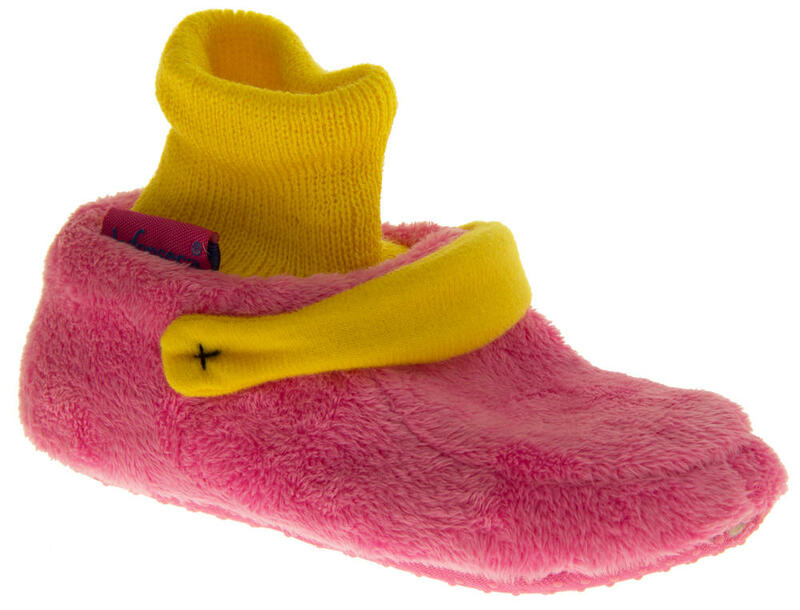 Description: Your little girl will love you for buying these gorgeous clog boot slippers! 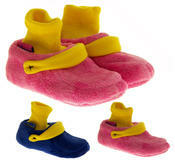 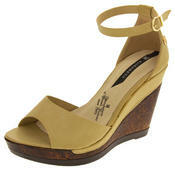 They have a pink or blue upper with a yellow decorative strap and an elasticated ankle cuff. 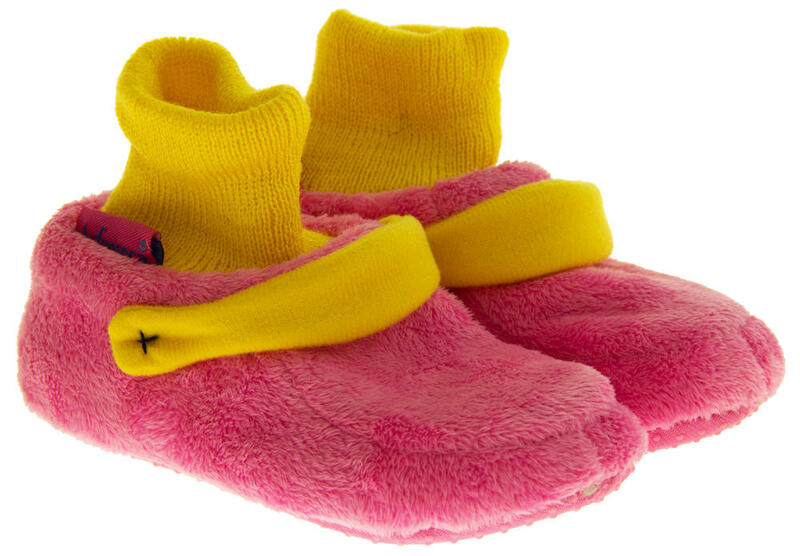 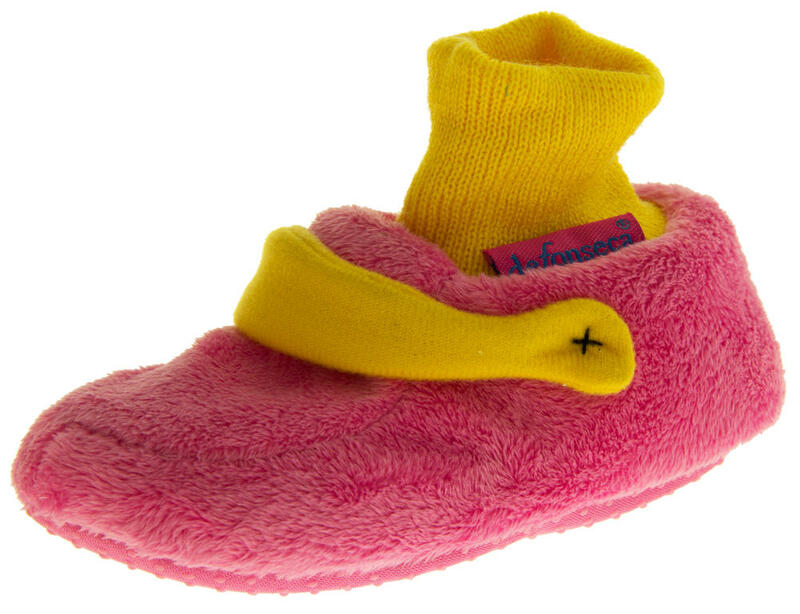 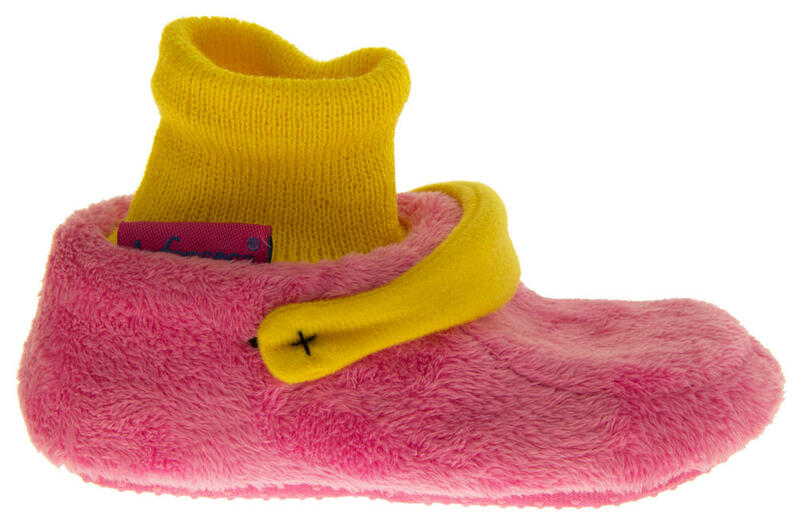 Put your little girls feet inside these toasty warm slipper boots. 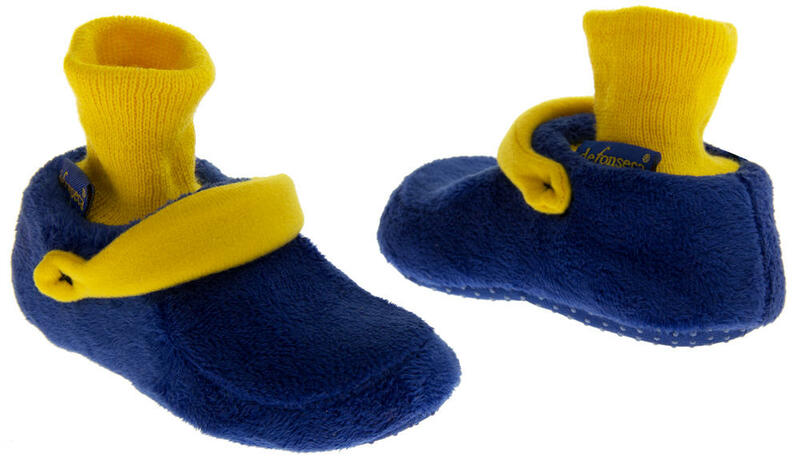 They'll never have cold toes again! 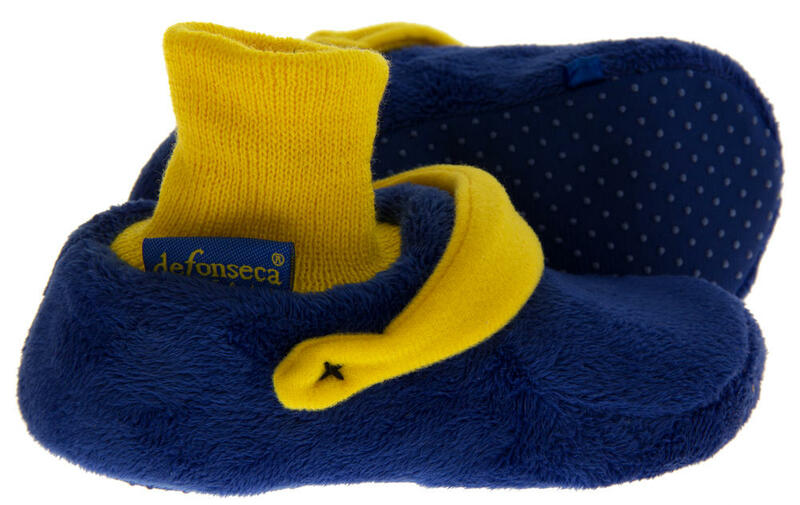 Extra padding to make them extra comfy and cosy! 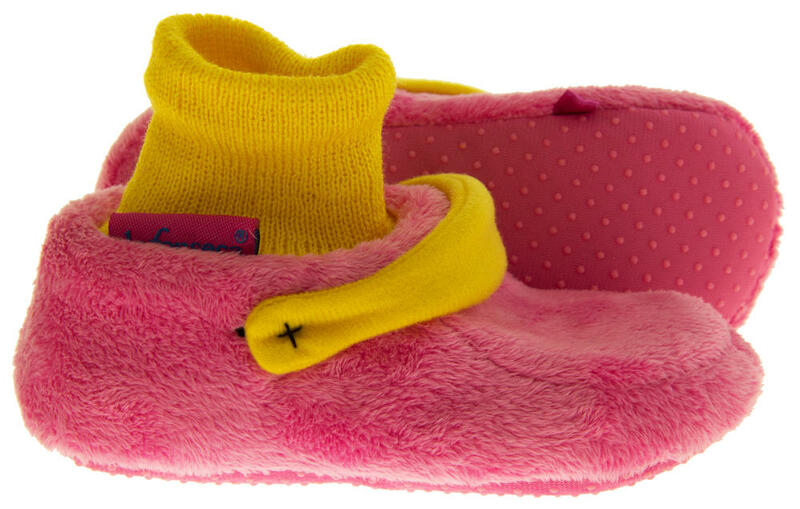 Just simply lovely!